BTC unfinished correction wedge OR new bull run? My experience with BTC panic selloffs would expect almost every steep crash to be followed by an almost equally steep recovery, almost up to pre-dive levels. And then this last correction seemed unusually low on the recovery. After seeing chart after chart bearishly expecting an imminent "final" drop in popping this bubble, but watching BTC amble sideways unable to makeup its mind, never really springing back from the "bottom", but also not scared enough to drop further, we seem to have a new bullish rise that has finally broken most of the down trendlines of the back side of this bubble. But what if this isn't a actually an independent bullish movement, but simply the completion of a correction that gave up too soon? Maybe the price is simply needing to catch up to where it would have ended up after most steep drops (followed by almost equally steep rises). In this case, the lack of a final deep drop past the bulls' definition of the "bottom" is not because it's not going to happen - it's just being delayed while the wedge finishes its business. I noticed a similar trend and analysis but based on a different set of criteria. See the chart here https://lh3.googleusercontent.com/-hDAc4uHzmAo/Urz7a-F8iNI/AAAAAAAAAX8/hu4BA19i6i4/w957-h445-no/12-27-13-btce+usd+772.png New to site but your description of that lil bump makes sense. forget the bears dude. 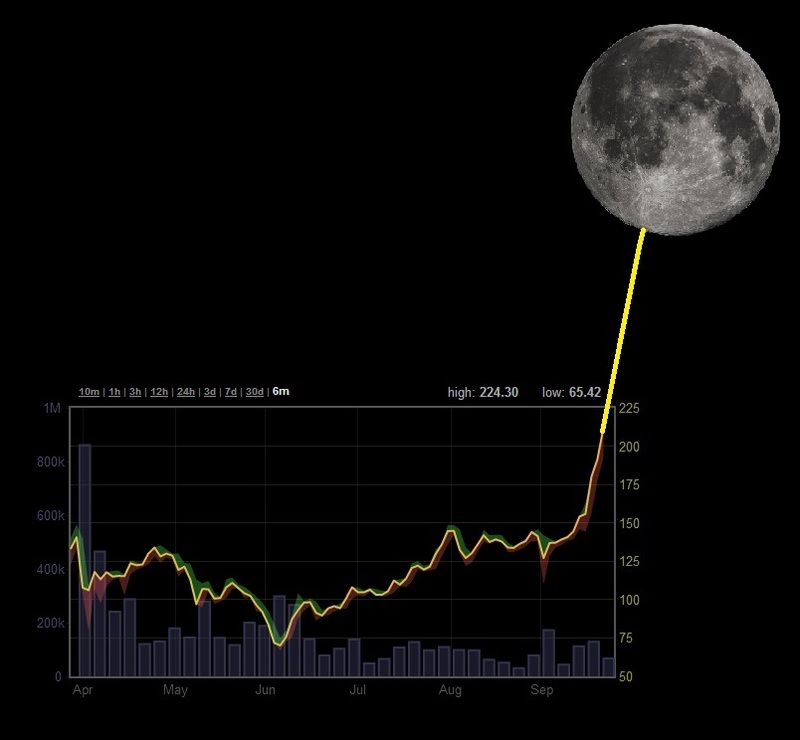 The bears have been crying since it spiked at $30.... in trading 90% of people lose.. and those losers become bears so they can buy back in.. so the market is saturated with bears... but u know what.. this isn't a stock... its the deflationary singularity and all bears to date have had their arse kicked. This is going to the moon.